What you wanted to know about the Great Lakes. In 1962 Norm Spring read Silent Spring by Rachel Carson. He wondered how anyone could read the book and not do something about the harm DDT was causing to the environment. He was living right across the street from Central Park at the time and the city of Grand Haven, Michigan would spray the elm trees for Dutch Elm disease with DDT. He was told he could move his car, but along with his wife he had two small children and the house and places where the young children played would be coated with DDT. The problem was DDT did not kill the elm beetle. it soaked into the ground and everyone could see robins trembling in their death throes in the grass. The spray washed down the streets and into the storm drains so DDT entered Lake Michigan where it was caught up in food chains. The fish became highly contaminated with DDT. 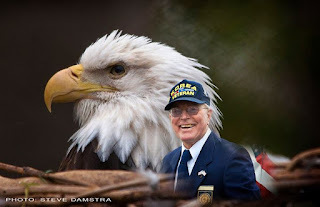 Fish eating birds such as the American Bald Eagle were affected since their eggs became thin and cracked as a result of DDT and did not hatch. Norm went to every meeting of the Grand Haven City Council for three years and finally the Grand Haven City Council agreed to stop their DDT program. People came from a nearby city and asked “How did you do that?” and together they formed the Michigan Pesticides Council that met at Michigan State University. Among the members were: Norm Spring, chairman, Joan Wolfe, ornithologists Dr. Ted Black, Dr. George Wallace, Dr. John Kitchel, Charles Schick, Ann Van Lente, , Joseph Kleiman, Theodore Carbine. Due to their work DDT and like pesticides were banned in Michigan in 1972 and then the ban went nation wide and Canada followed. Today the Eagles, Ospreys and Peregrine Falcons have returned to the shores of the Great Lakes, the United States and Canada because the democratic process worked. Norm was inducted into The Michigan Environmental Hall of Fame in 2014 for his work on behalf of the environment. I mourn the loss of what used to be even before I was born. This was my motivation for writing The Dynamic Great Lakes. I care about the environment so much that I had to do something. 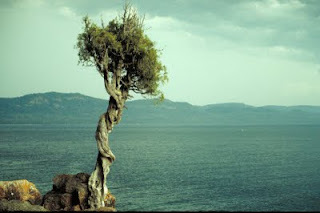 When I think of the 500 year old white pines that used to be where I live, I feel a sadness. White pines were called white gold and used for the masts of ships, and in West Michigan, these trees rebuilt Chicago after the great fire. When I think of the sturgeon that were killed and burned like cord wood because they fouled fishermen's nets, I want to cry. Glacial relics remain in the dunes and wetlands such as the arctic primrose. The names of flowers are lovely: grass pink, lady's tresses, ramshead ladyslipper. The fragrances of these flowers are in my imagination. Very few are really found. Few are found because dunes and wetlands have been leveled. When Jaques Cartier reached the Great Lakes, his men had scurvy. The Native Americans taught the French how to get vitamin C by making arbor vitae tea. The tea was made by pouring hot water over the leaves of this tree. They learned of a natural pesticide from the aroma of white spruce. Now harmful chemicals are found in the air, water and soil and this is really something to grieve. This was my motivation for writing The Dynamic Great Lakes. I care about the environment so much that I had to do something. This book shows what some people working on grassroots committees have been able to do. It is a hopeful book. It is a beginning. Without basic knowledge about the Great Lakes it is impossible to make the right decisions about them. The Dynamic Great Lakes is for sale. The Dynamic Great Lakes is perfect for Earth Day, Father's Day or any day. It is a green book that shows what people have been able to do through the democratic process to correct mistakes made in the past. There is information needed to make good decisions about the Great Lakes. The reading level is middle school through adult. It's a great book for people who like to fish. It shows what kind of fish may be caught in each of the Great Lakes: Lake Superior, Lake Michigan, Lake Huron, Lake Erie and Lake Ontario, the St. Lawrence River. What prompted you to write The Dynamic Great Lakes? I was inspired by a speech I heard while at a writer’s conference in Aspen, Colorado. N. Scott Momaday, Pulitzer Prize winning author of The House Made of Dawn, gave a speech on the importance of landscape. When I came home, it occurred to me that my landscape is a waterscape–the Great Lakes system. With this thought, I began to work on The Dynamic Great Lakes. The importance of the Great Lakes is not always appreciated. I wanted people to appreciate them. Who is the intended audience for the book and who might enjoy reading it? I wrote The Dynamic Great Lakes with a general audience in mind. I spent a lot of time searching for and up-to-date book about the Great Lakes and I could not find one. I believe my book is important because it shows the Great Lakes and their connecting waters in relation to each other; it shows the lakes in relation to their unique dunes and wetlands and to their biota. 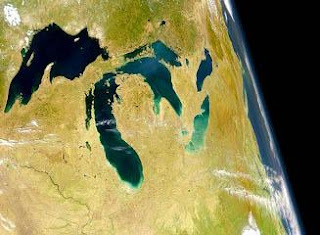 The Great Lakes are about 20% of all the fresh surface water on this planet. I wanted to make people aware of how precious this freshwater is and how vulnerable. I want people to feel concerned about how these lakes and their web of life is faring. 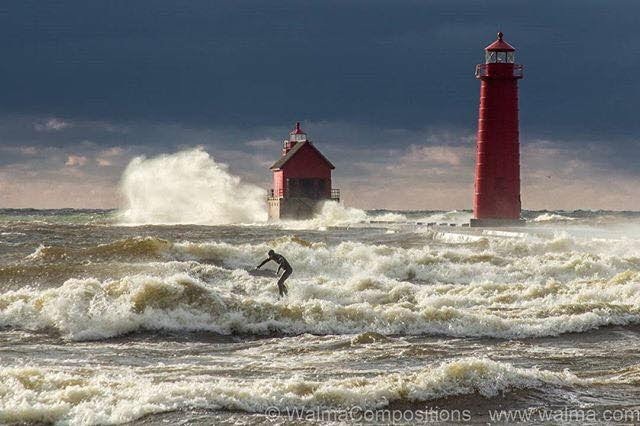 Do you think Michiganians generally are knowledgeable about the Great Lakes? Someone who has lived by Lake Michigan all of his life read my book and said, “I have been taking these lakes for granted.” I believe that people in Michigan and the other Great Lakes states and provinces need to know more about the Great Lakes so they will be in a better position to make good decisions about them. The Great Lakes will become more and more important as our population grows and the people are asked to vote for candidates who will either understand the issues and care for the lakes with future generations in mind, or those who would exploit them for short term gains. What are your earliest memories of the Lakes? My earliest memory of the Great Lakes–I must have been about 7–was a trip with my family around Lake Superior’s rocky shore. I still remember how awed I felt when I first viewed the largest of the Great Lakes and felt its icy water. My father woke us all up one morning proudly displaying a string of brook trout he had caught from a tributary stream to Lake Superior. We had them for breakfast. Just delicious. If you were czar(ina) of the Great Lakes, what is the single most important thing you would do for them? I would develop energy sources that do not threaten the environment. I would phase out the 37 aging nuclear power plants in the Great Lakes watershed and find a way to store atomic wastes in a place where it has no chance of getting into water. That would be my decree. I would hire the best minds to work on this daunting problem and I would tell them to do it will all haste. The Middle Island sinkhole is open to Lake Huron, creating a gradient of biological activity. A nine-metre boat is also visible in this aerial photo for sense of scale. ((Scott Kendall/Bopi Biddanda/Grand Valley State University))Twenty metres below the surface of Lake Huron, scientists have discovered peculiar sinkholes where a bizarre ecosystem at odds with the rest of the lake flourishes. The huge lake's freshwater fish shun the dense, salty, oxygen-deprived waters of these sinkholes off northeastern Michigan. Instead, brilliant purple mats of cyanobacteria — cousins of microbes found at the bottom of permanently ice-covered lakes in Antarctica — and pallid, floating, ponytail-like microbes thrive. Groundwater from beneath the lake is dissolving minerals from the ancient seabed and carrying them into the lake to form these exotic, extreme environments, says aquatic ecologist Bopaiah Biddanda of Michigan's Grand Valley State University, a leader of the team studying the sinkhole ecosystems. "These are almost primordial Earth conditions, with high sulphur and low oxygen like in the ancient oceans that covered the Earth three billion years ago," Biddanda told CBC News. "It gives us a window into the past and who knows what value it will hold." The researchers describe this little-known underwater habitat in this week's issue of Eos, published by the American Geophysical Union. Although above-ground sinkholes in the area were discovered decades ago, the submerged sinkholes were only recently uncovered. In 2001, researchers with the Connecticut-based Institute for Exploration stumbled across them during an underwater archeological survey for shipwrecks in Michigan's Thunder Bay National Marine Sanctuary. Scientists began to explore these sinkholes a couple of years later, finding some just 20 metres below the surface and others extending 100 metres down, where the sun never shines. But their findings have trickled in over the last few years because of the logistical problems in exploring lakebed sinkholes. "Finding these little spots in a huge lake — you can't even compare it to looking for a needle in a haystack," said Biddanda. The most recent findings show an ecosystem that has more in common with Antarctic lakes and deep-sea, hydrothermal vents than it does with a freshwater lake. "We were amazed to find these brilliant cyanobacteria mats," said Biddanda. DNA sequencing of the purple mats show they are closely related to mats found in the ice-covered, oxygen-poor Antarctic lakes. Biddanda suspects similar ecosystems once existed all around the Earth but largely disappeared as the planet's atmosphere became increasingly oxygen-rich. 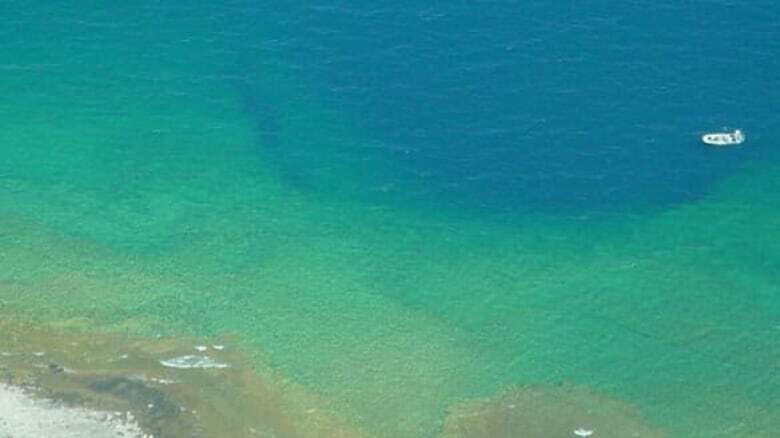 The team, including researchers from the U.S. National Oceanic and Atmospheric Administration, suspects similar sinkholes exist under the other Great Lakes because, with the exception of Lake Superior, the lakebeds are all composed of limestone, with ancient aquifers running beneath. The researchers will continue to study the sinkholes this summer, keeping a sharp eye out for the possible discovery of never-before-seen organisms and biochemical processes. On the map, Isle Royale looks like the eye in the wolf’s head shape of Lake Superior with Duluth its snout and the Keweenaw Peninsula its mouth. It is precious since there are few places left on this planet that have been preserved like this. It is unique; some of the oldest rocks on this planet form Isle Royale, its plants and animals and minerals. There are copper mining pits on the Island where native Americans dug rich veins of copper long ago. When I think of Isle Royale, I think of Eden, a place away from cars and the noise of machinery. There is no traffic on Isle Royale; only hiking trails. The sounds of Isle Royale are of bugling moose, the silvery songs of northern songbirds, the lapping of waves on rocks and the quavering voices of loons. Sometimes there is the slap of a beaver’s tail. The resident pack of wolves are elusive and seldom seen. We did not hear them at all. My husband and I hiked the trails there and I’ll never forget the thimbleberries higher than our heads along a trail. We picked the large berries like none other I have ever tasted, copper color, tangy and delicious. We found greenstones, Michigan’s semi precious stone. We stayed on Isle Royale for a week and every day we took a different hiking trail. We watched a diving duck teaching her young to dive. We saw a fox near its den, and had a close encounter with a moose. As we hiked, my husband Norm said, “I smell a moose.” I didn’t believe him, but as we came around the bend, there it was, bigger than life, standing athwart our trail. We kept a respectful distance and it casually strolled off. We did not fish, but the rocks off of the island are the place where the Isle Royale redfin lake trout spawn as they have for millennia. This is an endemic species and it’s good to know it is still returning to Isle Royale every year before returning to the depths of Lake Superior. In my book, The Dynamic Great Lakes, I have a section devoted to this very special fish, the Isle Royale redfin lake trout. Book about the Great Lakes available on Kindle. The Dynamic Great Lakes by Barbara Spring is available on Kindle readers. There are a few copies of the paperback on Amazon.com.